Students will be able to sort common objects into categories and gather information from provided sources to answer a question. Looking through environmental print sources helps students label their dairy items. When all of the students are seated on their dot in the rug area I tell the students we are going to take a brief survey. I count the number of students who raise their hands. I use this survey as a fun way to get the students thinking about milk and this will be used as an introduction to dairy products in general. I select the students who have their hands raised to respond to the question; there will be a variety of answers. During reading we stop and discuss vocabulary words like, graze and pasture. We review old vocabulary words from our previous map unit – mountains, valleys, etc. I select enough students to respond to cover the most basic facts from the book. I select students who raise their hand to respond. I select any student who raises their hand. There is usually not a lot of response to this particular question. I select a student who is following the classroom protocol of raising their hand. My students nod eagerly as they think they have now been let into some big secret. Acting like this encourages my students to really look at the print as well as the pictures. “Table number one let’s go have some dairy finding fun. Student going through store flyers for dairy items. Students looking through flyers for dairy items. Labeling items involves many skills that the students will use later on in different subjects. When students are sorting items the categories they are putting the items into are often labeled so it is important for students to recognize what labels are and how they help the reader. Many non-fiction texts use labels to aid in reader comprehension and this can be pointed out to students as another feature to look for when deciding if the book they are reading is fiction or non-fiction. In today's activity it is pointed out that the labels help the reader determine what the item is which helps the reader decide whether it is an item they need or not. Becoming proficient at labeling the items themselves helps promote good work habits through skills such: using books to research information, writing letters while recording the labels, and increasing vocabulary skills as the students discuss label choices with their table partners. Once the students are seated I tell them that their exit slip for today is to tell me their favorite dairy product. Once a student has told me his/her dairy product they are able to use the hand sanitizer and go to get their snack. If a student is unable to give me an answer, they know they can do one of two things. They can wait until everyone else has gone and then we will work on coming up with a dairy product together. Exit Ticket as an Assessment. I use the Dairy Item Sort Checklist to go over the student’s work and once it is complete I will place the student’s work in his/her collection portfolio. Looking at the student’s work with the checklist helps me to stay focused on the objective of the assignment. I am looking to see if a student recognizes what a dairy product is and attempts to label it some way. The checklist helps me because the work sample provides me with evidence of students learning as to whether the student met the objectives or not. The checklist helps to convey information to the student’s family as to how well they are doing in class, and finally it helps the student by letting him/her know how he/she did and if there are areas where he/she could improve. Make a “milk” painting using white paint. 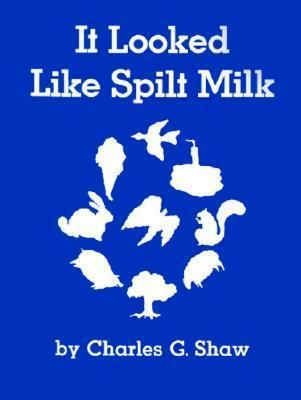 We read the book It Looked Like Spilt Milk by Charles G. Shaw and then we made our spilt “milk” picture to make into a class book. Student deciding what their painting looks like. Student recording what her image looks like. Find words that have the short /i/ vowel sound like the word milk. Students using the SMARTBoard as a resource. Student looking for items with the short i sound. One of the items she used. Student sharing her short i like in the word milk. Students made butter by shaking heavy whipping cream in small Gladware containers. We spread the butter on bread and ate it while we drank our milk at snack time. We provided chocolate syrup for the students who prefer to drink chocolate milk. Students drinking milk for snack. Plant Life Cycle- Prove it!